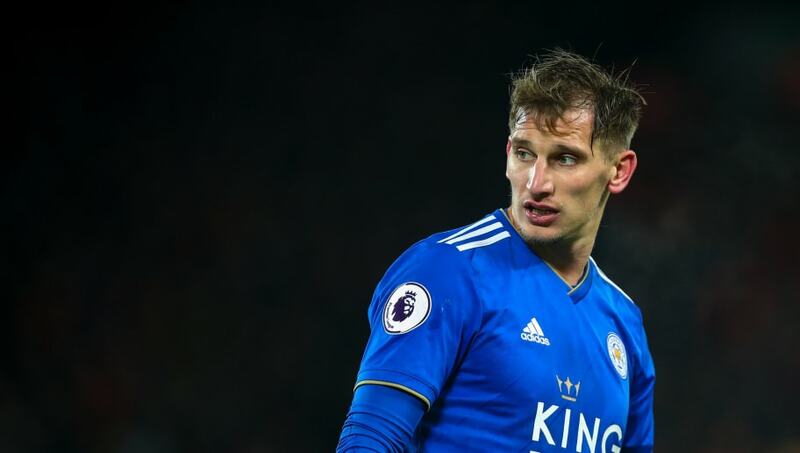 Leicester manager Claude Puel has confirmed that Marc Albrighton could miss the rest of the campaign with a 'serious' hamstring injury. The winger had featured heavily under Puel this season, registering 22 Premier League appearances and scoring twice, but was ruled out of the Foxes' 1-0 defeat to Manchester United last weekend. Speaking in his pre-match press conference, Puel revealed (as quoted by ​​Leicester Mercury): "We know the injury to Marc Albrighton. He has had a serious hamstring injury and it’s bad news for us, for the team. He will not available until the end of the season. Puel added: "He gave the team good spirit, aggressiveness and hard work on the pitch. Of course we will have to find other balance in the team. It’s a bad thing. But it will be an opportunity for other players to show their quality." #lcfc Marc Albrighton might not play again this season. Puel has confirmed his hamstring injury, suffered in training before last weekend’s game against #mufc, is much more serious than thought, and will require surgery. Despite leading the team to impressive victories over Manchester City and Chelsea in recent weeks, Puel has come under criticism from ​Leicester fans for his apparent pragmatic approach, with boos ringing out after the loss to Manchester United. He said: "They [the fans] have the feeling like us with disappointment the end because we showed quality, we showed we are close with these teams but without success to find the good clinical edge. This game, we had 17 shots against 10 shots for United, normally against a big team this is fantastic.